Restoration – Fully Completely Inc.
Has your home or commercial business recently become a victim of water damage? Waking up in the middle of the night or coming into work one morning only to find that you have experienced a broken pipe or an unexpected event has filled your property with water is devastating. If you have sensitive equipment, electronics, or valuables, they could already be damaged and beyond repair by the time you realise something has even occurred. Whatever the case may be, it is important that you quickly get in touch with Fully Completely Inc.
At Fully Completely Inc., we have been in business for more than 23 years and can help you if you have suffered water damage. Restoration of a property which has been damaged by water involves many steps, depending on the severity of the damage. If the water has been sitting for some time, the process will be drastically different than if you are able to spot the problem and contact us right away, keep in mind if due diligence to mitigate the water sits too long Insurance companies may not cover the emergency work. The good thing is that many of the steps involved in repairing water damage in a residential home or a commercial property are the same. 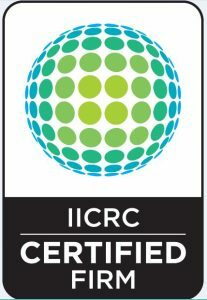 What does an IICRC Certified Firm mean? When hiring a Cleaning & Restoration company like Fully Completely Inc. to work in your home or office it is important to understand that they are certified and belong to a professional organisation such as the Institute of Inspection, Cleaning and Restoration. Fully Completely Inc. is a certified firm. 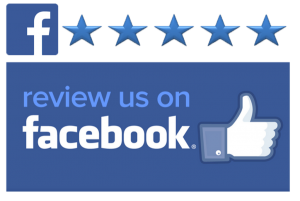 This means that all of our technicians have a higher level of competency in both the restoration and cleaning process; they also continue to attend training and seminars on a yearly basis. 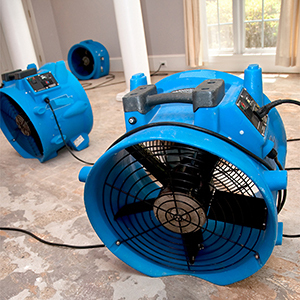 Our IICRC certified water damage restoration experts with years of experience will ensure proper restoration. Call us first and we can advise you, if you can avoid an insurance claim, if not we be more than happy to deal with your insurance company directly on your behalf.